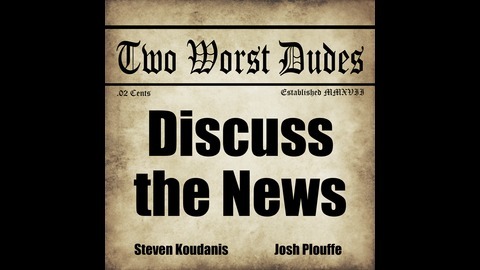 Welcome everyone to the Two Worst Dudes - Josh Plouffe &amp; Steven Koudanis. We discuss the best news in crime, comedy, and pop culture. We bring you stories from all around the world, from big news that you may have heard about, to smaller, hidden gems you may not have heard about. 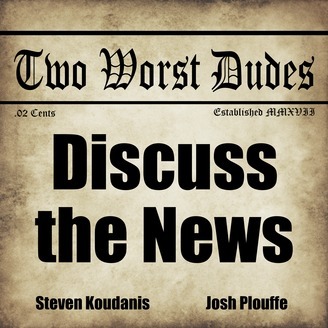 Steve and Josh use their comedic angles and hard research to give the listeners a unique perspective on these stories. Also, guest appearances and impressions. Please join us and enjoy the Two Worst Dudes podcast. Who knows, you might find us not THAT bad...Doubtful.